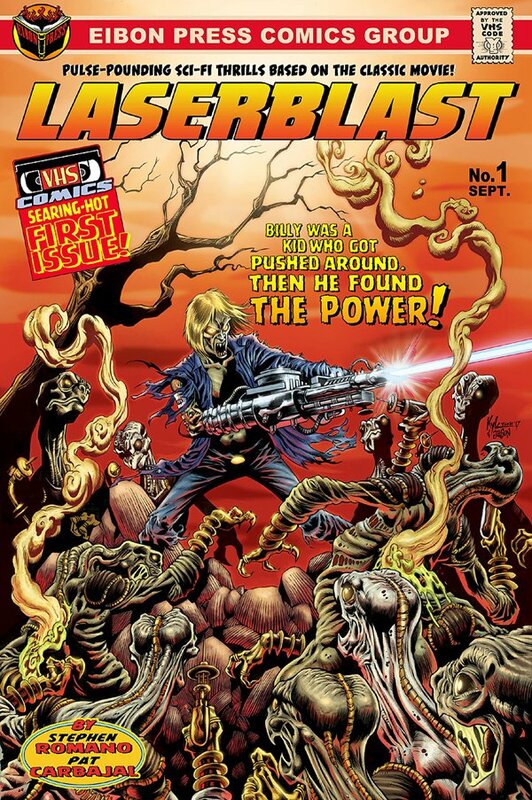 Click Here To See Laserblast #1 Comic Book! 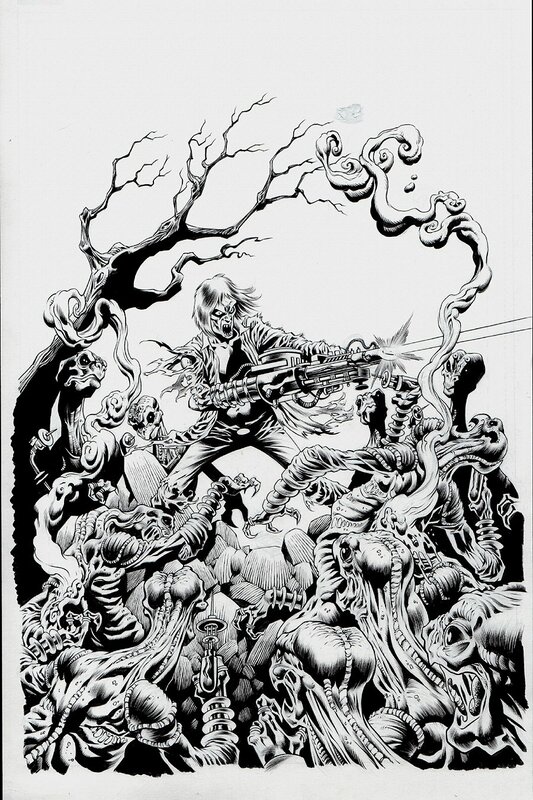 Check out this very nice INCREDIBLY DETAILED HORROR cover, which was penciled by the great Kyle Hotz, and inked magnificently by the great Jason Moore! This super detailed cover features a Morbius looking vampire hero blasting almost a dozen long necked aliens with ray blasters in their hands. Kyle Hotz is arguably one of the most UNDER-RATED artists in the industry as his artwork is quite detailed as he patterns his art style to that of his good friend and fellow artist: The great Kelley Jones! Compare this nice cover art to the published comic book in the red link above! ALL art on our website (including this one) are able to be purchased with VERY fair time payments, and trades are always considered towards "ANY" art on our website! Just send us an email to mikeburkey@aol.com and we can try to work something out.